Each serving is loaded with 22g of plant-powered protein, helping you to hit requirements to grow and maintain important muscle2 — helping you to progress and perform in your training. This delicious blend will also help to keep you fit and healthy, as vitamin C supports bones, teeth, and skin,4 as well as your immune system,1 helping you to tackle the day ahead. 1. Vitamin C and B12 contribute to the normal function of the immune system. When to take Vegan Superfood Blend? Enjoy a fruit-flavored shake any time you need a natural pick-me-up — this blend is great for between meals, or as a refreshing post-workout protein boost. 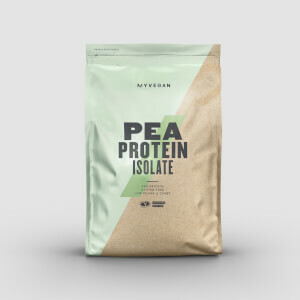 Pea Protein Isolate, Brown Rice Protein,Inulin powder (instantized), Greens blend (Kale, Brown Rice, AncienTrim (Millet, Amaranth, Buckwheat, Quinoa, Chia), Spirulina, Wheat Grass, Barley Grass, Oat Grass, Alfalfa Grass, Pomegranate, Beet, Carrot, Tomato, Spinach, Broccoli, Lemon, Acerola, Parsley, Blackberry, Blueberry, Ginko, Green Tea Extract, Bilberry, Grape Seed Extract, Elderberry, Maltodextrin, Silicon Dioxide, Sunflower Oil, De-Oiled Sunflower Lecithin), Digenzyme (Maltodextrin, Alpha-Amylase, Lactase, Neutral Protease,Lipase), Bacillus coagulans GBI-30 6086, Xantham Gum, Guar Gum, Natural Flavoring (Cocoa Powder (processed w/Alkali), Natural Flavor, Salt, Stevia Leaf Extract). I, really like the vegan blend, a great mix of veggie proteins instead of whey. This is my go-to, I started on just vegan blend but much prefer this with the extras. The taste is kind of funky, but it's grown on me. Mixes well with water and it's not overly sweet, with an earthy flavor. I prefer the vanilla over the chocolate. 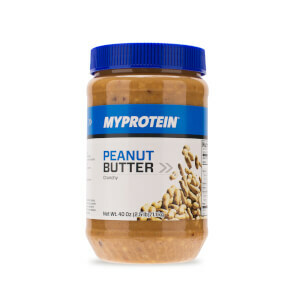 The mix of proteins is very basic, but the addition of nutrients makes this a great value. I use the Vegan Superfood Blend Vanilla with the Hard Gainer Extreme Unflavored Unsweetened (one scoop of each with water) and it tastes good and mixes well. 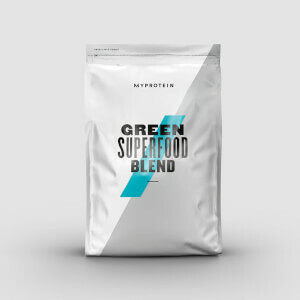 The Vanilla Superfood is slightly sweetened with Stevia but not overpowering and added to the Hard Gainer Extreme Unflavored Unsweetened it makes a good combo. I will be buying more of this product. I just switch form the regular proteins from MyProtein to the Vegan selections. I use the Pea Protein for my morning smoothie and I now experiment this blend. By itself, with just water, the taste is terrible but I don't think you buy this product to enjoy it as you would enjoy an orange juice. I blend it with a frozen fruit to make to more sweet and more enjoyable and it brings the essentials you need for an afternoon snack and makes you stay hydrated. To conclude, I got what I expected. Check the good ingredients list, it will also definitely help people with digestive issues.